A couple of months ago, I received a box of beauty products to try and review on. One of them was the Cure Natural Aqua Gel, a facial exfoliating gel from Japan. In my Skin Care Routine post, I shared with you that I don’t use any toner or exfoliator for my face. I just can't be bothered adding more steps to my daily routine. However, my interest got piqued when I found out that Cure is popular among Japanese women. In fact, one bottle gets sold every 12 seconds! Whoa, right? But is it really necessary to exfoliate? The answer is yes! I've learned that exfoliating helps you combat several skin problems, such as acne and dull skin, it also encourages a healthier and more even-toned skin. Last but not the least, exfoliating also helps your skin absorb those *expensive* moisturizer better. 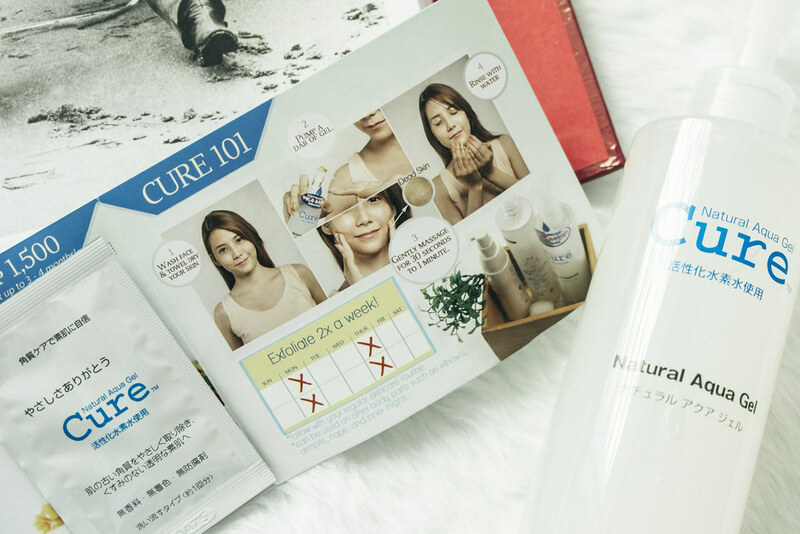 On the plus side, Cure's formula is said to be free from preservatives, mineral oil, artificial fragrance and coloring, and suitable for all skin types. Given all these new information, I decided to try the product for myself. The instructions were very simple — wash my face, towel dry then massage the clear gel to my skin. One minute later, I noticed that dirt (a.k.a. libag, but it was white...) were appearing on my face! Wow! I rinsed my face with water then proceeded with my usual skin care routine. That's it. In less than two minutes, my skin was cleaner and fresher! Easy peasy! I also had so much fun exfoliating my skin that I'm trying to incorporate it into my routine, at least once or twice a week. Another thing to notice is that I no longer have dry patches around the T-zone, which is very noticeable when I apply makeup. But ever since I started using this + a green tea serum from Korea, my skin got 10x better. :) What's even cooler is that I can also use this exfoliator on other body parts like my underarms and elbows! The price tag. The Natural Aqua Gel is worth PHP1500. Pricey? Absolutely! Worth it? Definitely! One bottle can last up to 4 months if used twice a week and you don't even have to buy extras, like a pack of cotton pads, in order to use it. Your fingers are more than sufficient! 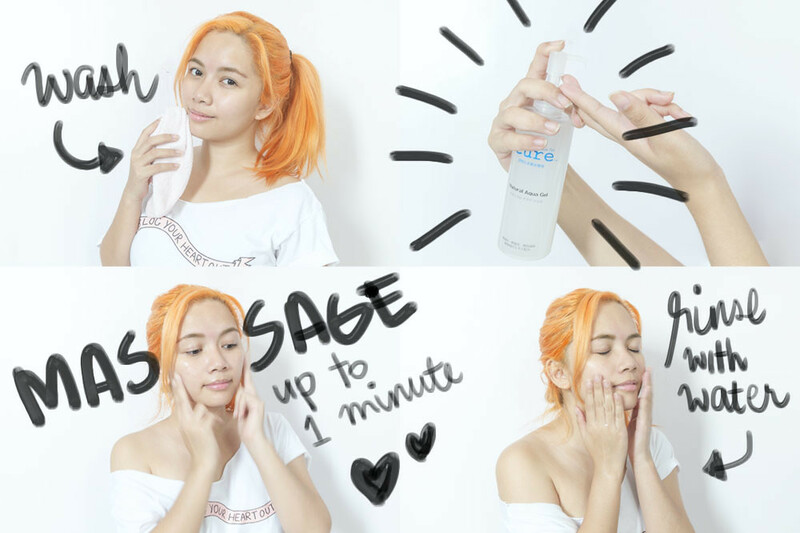 To get your beauty fix, Natural Aqua Gel Cure is available in selected Beauty Bar branches and Rustan’s Beauty Source in Shangri-la and Makati. You can also like them on Facebook for more information. Disclaimer: I was not compensated for this post. However, I did receive a sample for my review. All opinions are my own and not influenced in any way. A Travel Guide To Bataan: What To See In A Day?